Ada Diamonds launches today as the world’s first custom fine jeweler using exclusively conflict-free, laboratory-grown diamonds. All of Ada’s diamond gemstones are proudly cultured in high-end laboratories and are chemically and optically identical to Earth-extracted diamonds. With the strong belief that powerful technology and fresh ideas can revitalize the diamond industry, Ada Diamonds is forming a brighter future with its one-of-a-kind, sustainable jewellery pieces. 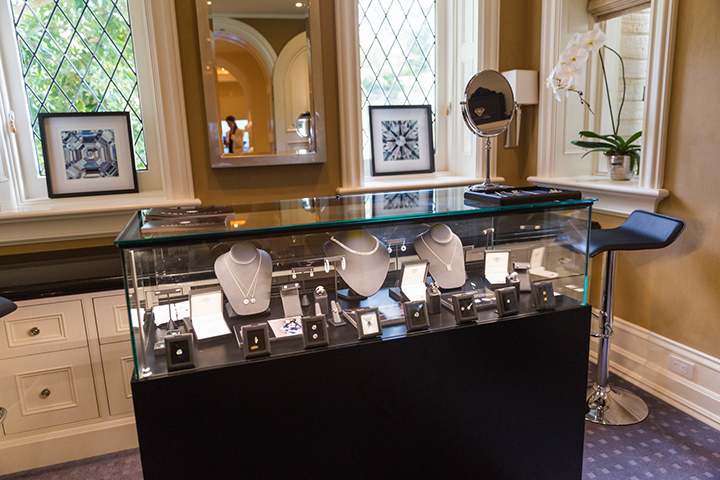 Ada Diamonds was co-founded by Silicon Valley husband-wife team Jason Payne and Lindsay Reinsmith who were early adopters of cultured diamonds in their engagement ring in 2011. At the time, the process was confusing and access to the stones was limited. As the technology and diamonds improved, Payne and Reinsmith decided to affect a change in the industry. Additionally, Ada Diamonds offers fully bespoke diamonds through their signature Lavoisier Process. Customers can commission the growth of diamonds from any carbon-containing mementos such as flowers, photos, papers and wood to brilliantly celebrate a marriage, graduation, birth, or milestone. The donor material is then graphitized, purified and grown into Lavoisier Diamonds, the ultimate choice in truly custom, meaningful diamond jewellery. A true marriage of high technology, remarkable craftsmanship, and sustainable luxury, Ada’s cultured diamonds are grown to perfection in high pressure, high temperature diamond presses; the result of over 65 years of research and development in extreme-pressure technology. In addition to creating fine jewelry, Ada Diamonds partners with other luxury brands for unique installations of its spectacular diamonds. Ada has worked with iconic automotive brands such as Koenigsegg Automotive, to place lab-grown diamonds in the interiors of supercars. Ada’s latest diamond bespoking effort, an Agera RS named ‘Naraya’, was awarded Most Sensational Supercar at the 2016 Salon Privé Concours d’Elégance. Ada is also an affinity partner of superlative brands including Rolls-Royce Motor Cars creating commissioned jewelry for owners, supporting events, and styling product specialists at events, auto shows and photo shoots. “I am passionate about corporate philanthropy and have made social responsibility a core part of Ada’s mission,” says Payne. Ada Diamonds has pledged to give 6% of all profits to six causes as part of their Sixth Element Program. Ada Diamonds is named after Lady Ada Lovelace, a 19th century mathematician, mother, musician, socialite, and computer scientist who was affectionately known as the Enchantress of Numbers. “Ada Lovelace envisioned a future of beautiful art and music emerging from technology and aptly coined the phrase ‘poetic science,'” says Payne. Understanding the difference in diamonds: Lab-grown diamonds represent a true victory for the environment, human rights and diamond supply chain transparency. Mining diamonds is an energy intensive and ecologically invasive procedure, affecting fragile ecosystems across the globe. Customers can be assured that Ada’s lab-grown diamonds are vegan and sustainable, grown in controlled environments without contributing to conflict. Dedicated to only selling cultured diamonds, Ada provides customers peace of mind that their jewellery comes from known origin. Investing in diamonds is no longer a myth?